A lot of us know about consent with regard to our physical bodies, like in the context of medical decisions or sexual activities. 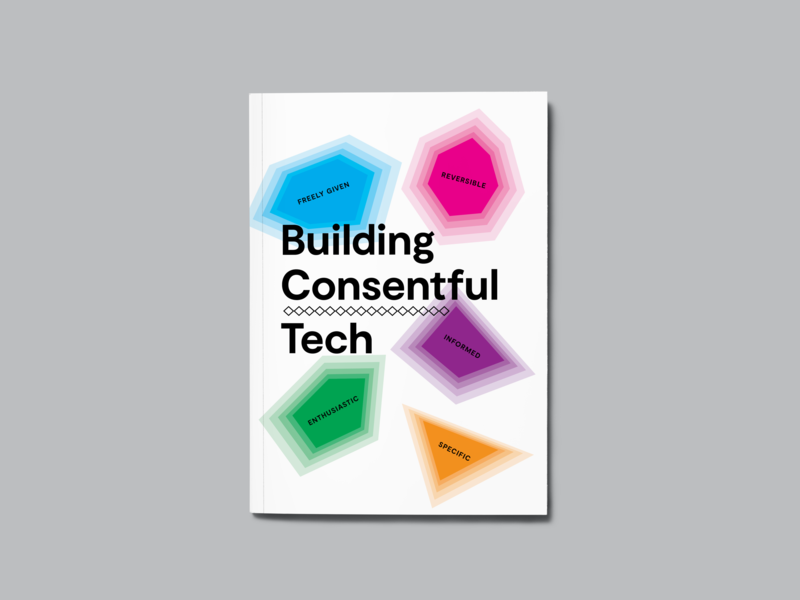 But when it comes to our digital lives, there’s a lack of discussion about what consent means for our data, our identities, and our online interactions. 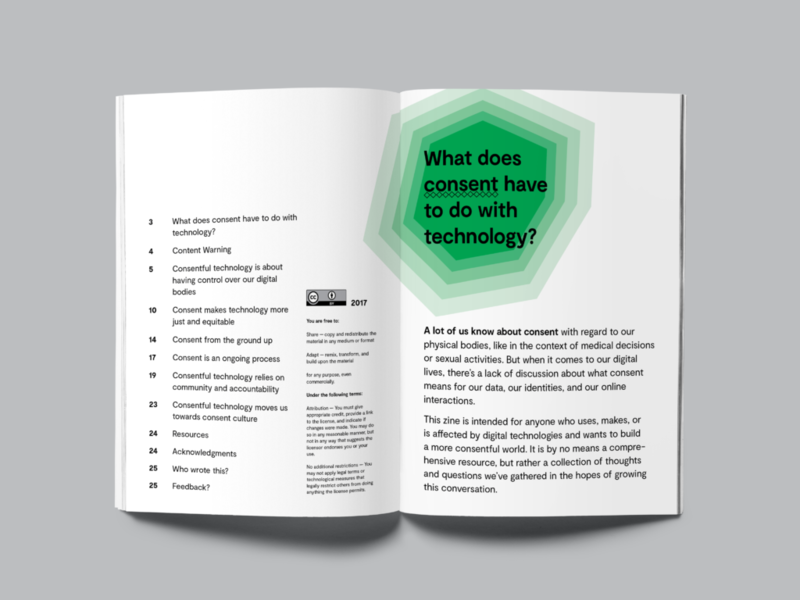 This zine is intended for anyone who uses, makes, or is affected by digital technologies and wants to build a more consentful world. It is by no means a comprehensive resource, but rather a collection of thoughts and questions we’ve gathered in the hopes of growing this conversation. The zine was written by Una and her colleague Dann Toliver and designed by And Also Too. 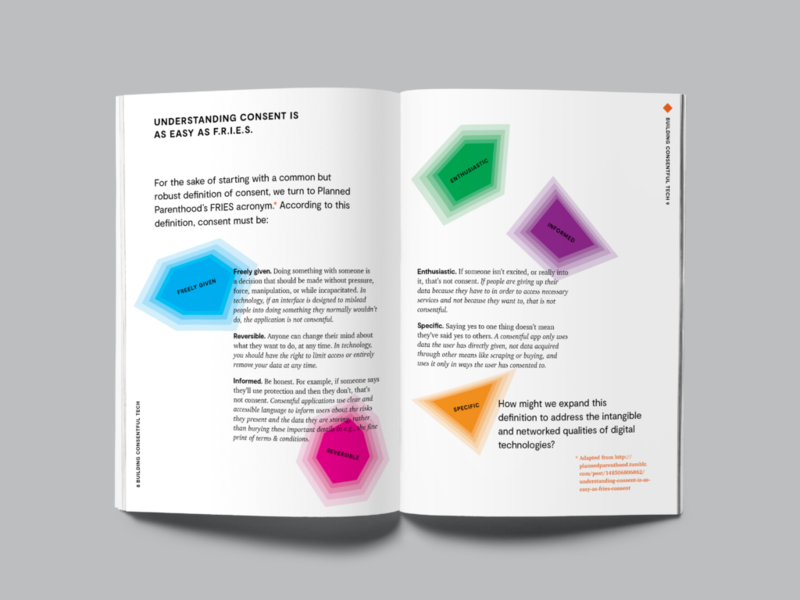 To get a copy, come say hi to us at MozFest this weekend, or download a PDF here. We are by no means experts about any of this, and we consider the zine a work in progress. If you have feedback and ideas for us, please share it here. Spread from Building Consentful Tech zine.